A jury in United States announced a massive victory of Apple in its patent case against Samsung Electronics. Apple has awarded more than $1 billion in damages after finding Samsung infringed on plenty of iPad, iPhone patents. Earlier, Apple has filed a case of copyright issue regarding design, software and feature of iPad, iPhone and other mobile devices against Samsung. The judgment of Apple’s victory comes from Judge Koh’s courtroom after many attack and counter-attacks of Apple with Samsung. This verdict will lead many shocks and surprises in the smartphone industry of US. Various Samsung devices can be banned in the country after this decision. 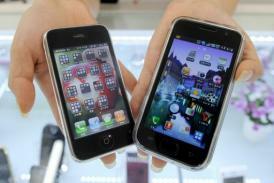 Apple may file various other patent cases against Android smartphone makers. The jury declared that most of the patents of iPhone maker were legitimate. Out of seven patents five copyright issues found infringed by Samsung. After the arrival of judgment, Samsung affirmed that the victory of iPhone maker will prove a defeat for American consumer. Samsung is not considering it as a final decision and planning to appeal in high court. Reacting on the judgment of jury, Samsung claims that owing to this decision the customers will find limited options and innovation in gadgets. The prices of gadgets may also be increased which is not good at all. Samsung has a hope that all patents will be rejected on the high court just like those patents which are already rejected by jury. According to Samsung any manipulation in patent law is not applicable in order to grant dominance to a company over technologies which are developed by several other companies. Samsung announced that they will continue to innovate new techniques for its potential customers. The company also claimed that the customers have sufficient knowledge and right to choose products. They know what is right and what choice is wrong for them. Apple is highly delighted and satisfied with its victory. As per to iPhone maker the case was not charged only for money and copyright but it was all about the value of innovations and techniques. Apple answered Samsung that they develop world class products for their esteemed customers not for their challengers. Apple congratulates and thanks the jury for a right and valid result. Apple group announced just after the arrival of jury’s decision that they will charge a sales injunction against Samsung. The hearing of sales injunction will be started by September 20.